Coming off of massive success and adoration during its first year, the first-ever God of War card game is now in development from CMON and they’ve wrapped plenty of lore around this tabletop release. 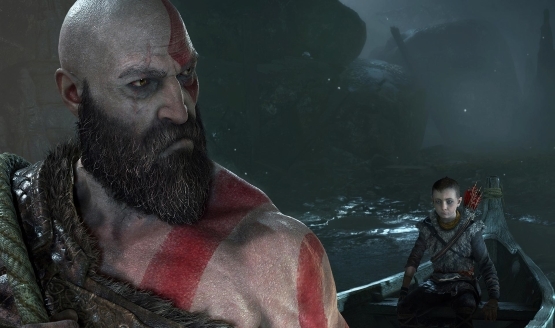 One to four players can choose from an array of characters, such as Kratos, Atreus, Mimir, Brok, Freya, and Sindri. The idea of the game is to give “what if” scenarios for fans of God of War as they try to thwart Ragnarök. Assorted on the table, a mosaic of cards take on the form of monsters and locations from the video game. Each card has rules attached to it, and the players need to figure out how to overcome each challenge to achieve victory. The party also has to decide which quests to take. Depending on which one you decide to complete, you may get a bonus. However, if you choose to ignore a quest, there may be giant consequences for your party. Every hero brings different attributes and abilities to the table. They each have their own starting deck that can be upgraded later on. The strategy comes in from how you continue to build the deck. Do you want to choose cards that highlight your character’s abilities? There will be multiple choices that have to be made over the course of a game. Perhaps this could lead to fun Dungeons & Dragons-like roleplaying. CMON claims that each playthrough is unique, allowing for replayability. You will be able to help the Norns stop Ragnarök when the card game releases sometime in Q3 2019 (July, August, September). While you wait, you can download a free God of War theme on PS4 to help celebrate the one year anniversary of the latest God of War.